A documentary about Martial Law under President Ferdinand E. Marcos. A brief story on how the former president planned the declaration of Martial Law during his term as president of the Republic of the Philippines. 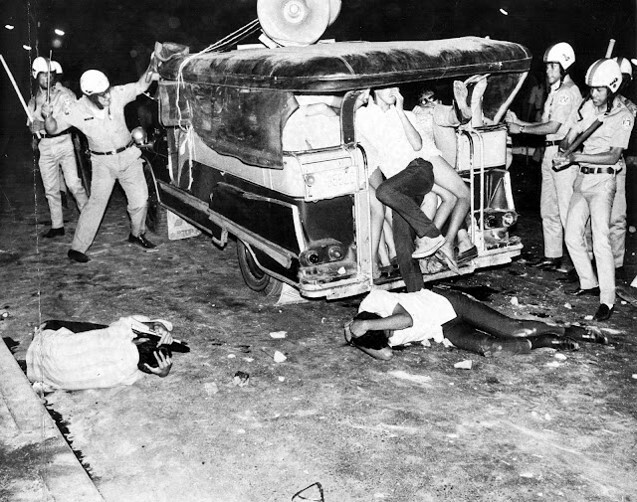 Marcos administration has been experiencing a crisis during the 1969 elections as protesters and activist have become more aggressive due to some speculations that government is plotting a plan to further extend the Marcos regime. And as the election campaigns continue, more and more people were killed in bombings which lead in blaming the Communist Party as the mastermind. Martial was declared at height of this staged chaos and assassination of government officials. Proclamation No 1081 was formally announced on September 21, 1972, but have been originally signed on the 17th of September which confirmed how Marcos planned the declaration of Martial Law. After Martial Law was declared, thousands of innocent people were, scrutinized, arrested, violated, tortured and killed by the military and the government. Martial Law continues until 1981 and Marcos was exiled in 1986 due to People Power Revolution.